Just popping in with a quick reminder of the Words, Letters & Numbers Challenge over on the Oak House Studio blog. All the details can be found HERE - and to cater for those people that don't have a blog, entries are via the facebook group this time. I've used the Large Rose stamp and water coloured with Aquash and a water brush. 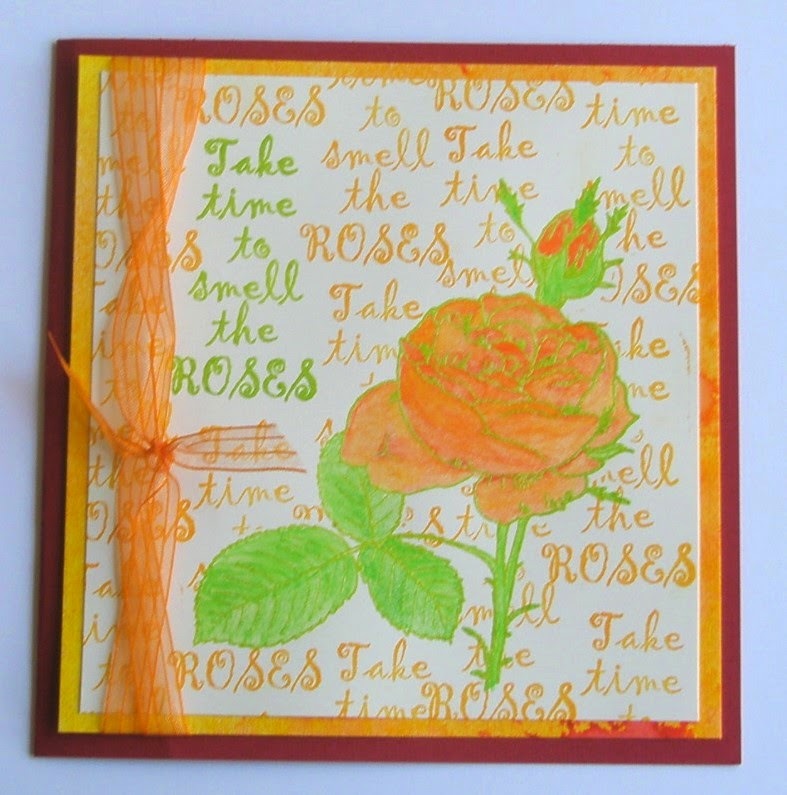 Once this was dry I masked off the rose and then stamped with the Take Time to Smell the Rosess sentiment. I did the Spring Green one first and clear embossed that to make it stand out more and then filled in the rest of the card with the same stamp inked with Golden Yellow. The challenge finishes next Sunday so you have plenty of time to enter - just use one Oak House Studio product! !